Get your free copy of The Maids of Wrath here! Right, all you clean freaks out there! 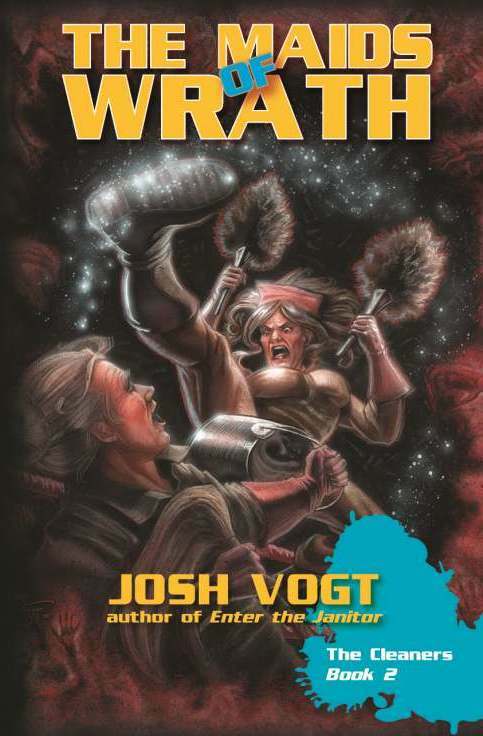 Time’s a comin’ when the second in The Cleaners series is out: The Maids of Wrath! If you haven’t seen it yet, here’s the final cover art. Ben, her janitor friend and mentor, is also struggling with being sidelined as a “consultant.” His only consolation is having gained information that could help solve the mystery of his wife’s death on a Sewer run gone horribly wrong—the same event that temporarily trashed his sanity. Now, here’s the really fun thing. You could get a chance to read it before the official launch date! How? Easy. We make a trade. Yes, I know it sounds mercenary, but I consider it a win-win opportunity. Here’s how it works. After reading this post you contact me through my website contact form and express your interest in receiving an advance review copy (ARC). Digital versions only at the moment, available in most formats. I then send you an ARC file. In return, you commit to reading and posting an online review within the next month. This review could be on your blog, Amazon, Goodreads, an official review site, or all of the above! At which point, you then link me the review as proof (via the contact form again, email, Twitter, Facebook, etc.) and, once the book launches in April, I send you a free physical copy of the final, complete thing as a thank you. It’ll be signed and personalized too! Do note, I am not asking for only positive reviews. I want honesty. Even if your review isn’t so great, or downright damning, I’ll still send you the physical book as a thank you for making the effort. You also don’t have to have read Enter the Janitor to be eligible. All right, clean freaks, whattya say? Ready to step into the ring and face down the feather dusters? And may the best maid (or janitor) win.